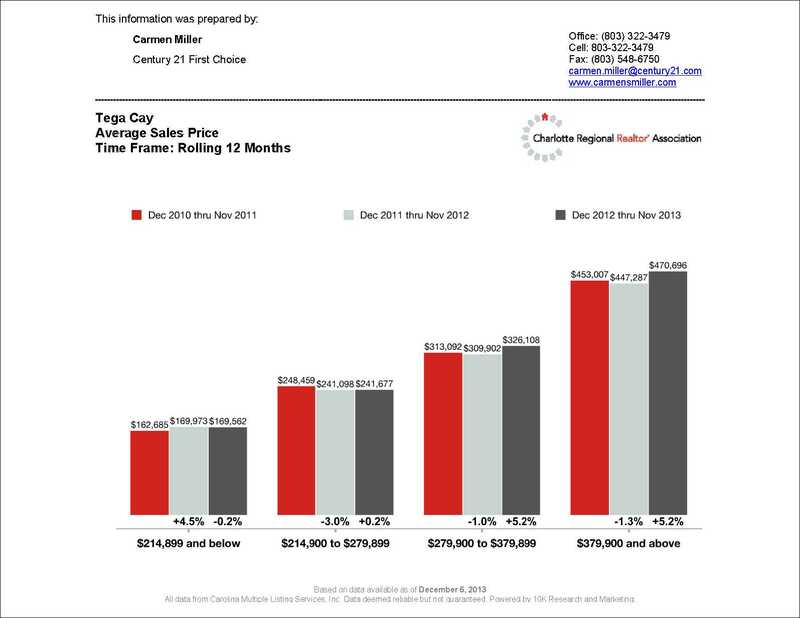 Are you curious to know what the selling trends have been for Tega Cay homes in the last three years? 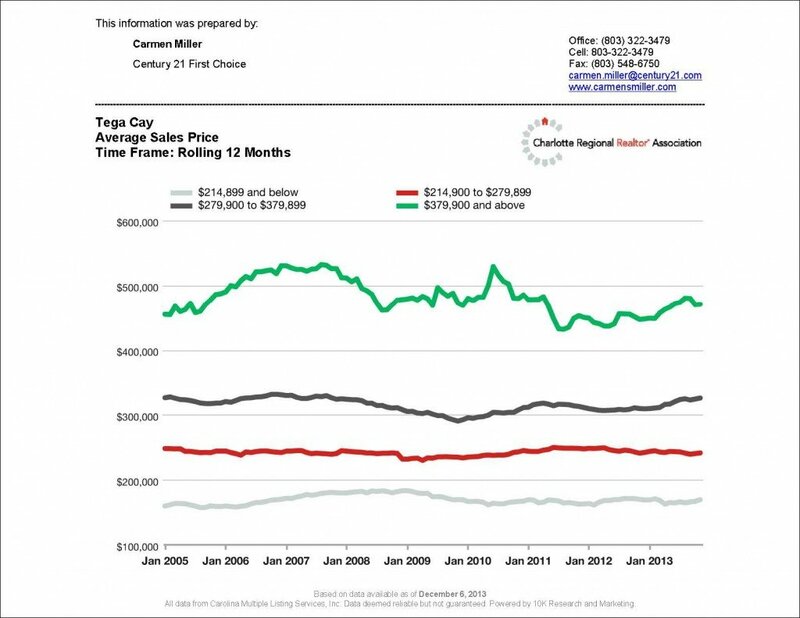 I ran a report using data from the Charlotte Regional Realtor Association. The report shows average home sales trends in the last 3 years divided into 4 home price groups. The two higher price groups benefited the most this year with price increases over last year. Homes in the price range of $279,900 to $379,899 and $379,900 and above saw 5%+ increases over last year’s sales. $214,899 and below – showed a 4.5% increase last year (2012) from the year before (2011), but remained almost the same from last year to this year. Average sale price is $169,563. $214,900 to $279,899 – Decrease 3% last year from 2011, but remained almost the same this year from last year. Average sales price is $241,677. $279,900 to $379,899 – saw a 5.2% increase this year from last year. Average sales price is $326,108. $379,900 and above -?saw a 5.2% increase this year from last year. Average Sales price is $470,696. A few comments about the chart above. The bottom 3 lines indicate these price groups are at or close to their peak selling price levels over a 8 year look back. ?The?$470,696 price group (top) has not yet fully recovered since the peak in 2007 but are increasing. The good news, all 4 groups have improved and are trending up. I’m excited to see what 2014 will bring for our home values!